In case you haven’t come across this yet, this is a bike from the OnzO dockless bike share scheme. 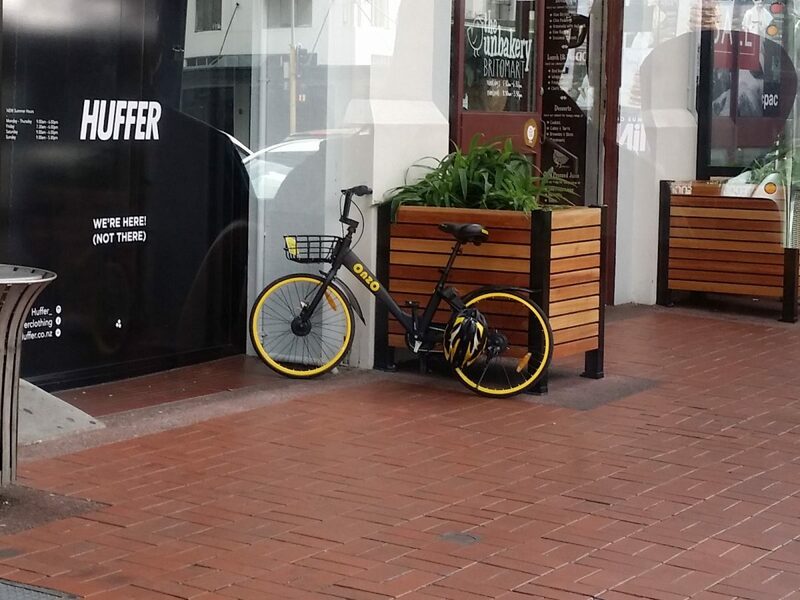 Unlike the fixed-dock schemes like our own Christchurch bikeshare, these systems rely on people being able to access/unlock them anywhere via a smartphone app and park them wherever they want (built-in GPS helps the system to track them). This makes it easy to distribute them easily across a wide area very quickly – which is what happened in Auckland about a month ago, much to the surprise of everyone (including Auckland Transport…). Are you looking forward to an expansion of Christchurch’s bikeshare? I recently moved from Christchurch to Melbourne and here they have the Melbourne Bike Share – very similar to what’s been done in Christchurch so far but more widespread around Melbourne’s CBD. There’s also dockless Obikes, essentially what OnzO is. 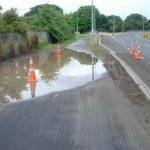 Now Obike – what a mess! A Google search will get you just what OnzO might become, a blight of cheap wrecks dumped, well, everwhere. During November, Obike had a promotion where every ride was free so I thought I’d download the app and give it a go. There were loads of bikes near my house but half of them were damaged, and of the non-damaged ones they were in such bad shape I didn’t even bother. Utter rubbish. None of them had helmets. Don’t get me wrong, I LOVE the idea. But because of human nature, and Obike not keeping up with removing junked bikes, they’ve become a blight. I feel it gives cycling in general a bad name. Perhaps if it was a local company that could be held more accountable things might be improved? Melbourne Bike Share is slightly better, but each individule ride has to be within 45 minutes and there’s no docks for the bikes outside the CBD. Most of the bikes are in dire need of maintenance. It will be very interesting to see how things go for Auckland indeed!